Need reverse cycle ducted air-conditioning in Perth? 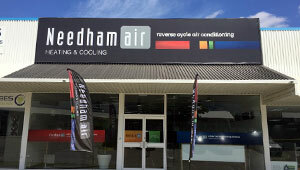 Needham Air designs, manufactures and installs the highest quality air conditioning systems for residential and commercial spaces across Perth. 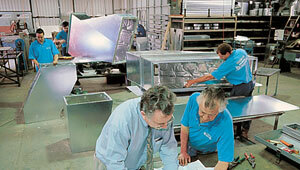 We are a local company who have a long and successful 40-year relationship with Perth’s people and businesses. We are not necessarily the loudest operator in our field, rather we concentrate on being very considered in every aspect of what we provide to our clients – from well-engineered products and design solutions to transparent and affordable pricing, on the ground service and long-term warranty periods. Quality air conditioning with affordable pricing and reduced running costs. A local, on-the-ground, agile team. A design-led approach to facilitate best outcomes. Full parts and labour warranty of 7 years on ducted systems. (*See Smart Owners Package). Support from our own service department with hand over service for all new installations. Honouring our warranties for 40 years. Australia’s best brands combined with made-to-order manufactured components from our own factory. A local, state-of-the-art showroom to see and further understand your air conditioning choices.